Bowling Green, KY. (September 5, 2018) – In the 1930s, electricity had expanded to most urban areas in U.S., but very little electrical service existed in rural America. The Rural Electrification Act (REA) was enacted in 1936 and began the process of ensuring that electricity extended across the country and served even those in rural America. Fast forward to 2018 and a similar, yet less severe, situation exists with high-speed internet (broadband) service. There’s certainly greater penetration of internet service in 2018, but those internet services do not serve vast swaths or rural residents and often pale in contrast to the offerings available in urban areas of the U.S.
AT&T Labs is now looking to take advantage of the investment made in rural America through the REA, harnessing key infrastructure of power transmission, aerial lines, and power poles to bring new high-speed internet services to rural customers. AT&T Labs announced Project AirGig, with a tagline of “Where There Are Power Lines, There Can Be Broadband,” calling it a transformative technology. AirGig is designed to take advantage of some of the properties of medium-voltage power lines to guide millimeter wave wireless signals, along the path of the powerline, utilizing the electromagnetic frequencies generated by the power transmission on the line as a waveguide. The equipment is designed to be installed on power poles by trained electrical technicians. AT&T reports that they have more than 200 patents or patent applications related to the technology and other access technologies related to this system of deployment. This includes the development of low-cost antennas that are capable of transmitting pole to pole but also in short range to homes and businesses located near the powerlines. AT&T began trials of the technology internationally and announced a partnership with Georgia Power to trial the technology in Georgia in late 2017. This technology is envisioned as a way for AT&T to serve areas where it’s cost prohibitive to build new infrastructure. But it also is a way to densify their core network as they look to expand and deploy other new technologies such as 5G and EDGE technologies. There’s been very little in the media regarding AirGig since late 2017, with little information surrounding the specifics of how the trials of the new technology are working. Should the technology prove to be capable of serving in the capacity that AT&T desires, it could certainly open up new possibilities for the way networks are deployed in rural areas. If the hardware associated with deploying can be produced at a low cost and deployed at relatively low costs (through partnerships AT&T has publicly noted and wants to develop), then many of the hurdles that we see in deploying new networks in rural areas may very well be cleared. As with any new technology, time is needed to see if these advancements made by AT&T will have a significant impact that helps close the digital divide in rural America and beyond. However, it’s exciting to see an investment in the American people that was made in the 1930s continuing to spur innovation and providing life-changing technology even today. 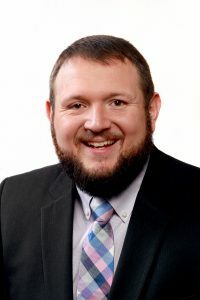 About the Author: Wes Kerr is the Director of Community Solutions for Connected Nation. Wes helps ensure the implementation of Technology Action Plans developed for communities through Connected Nation’s Connected Community Engagement Program (Connectedsm) and works closely with clients and stakeholders to provide solutions that will help them meet their technology goals.